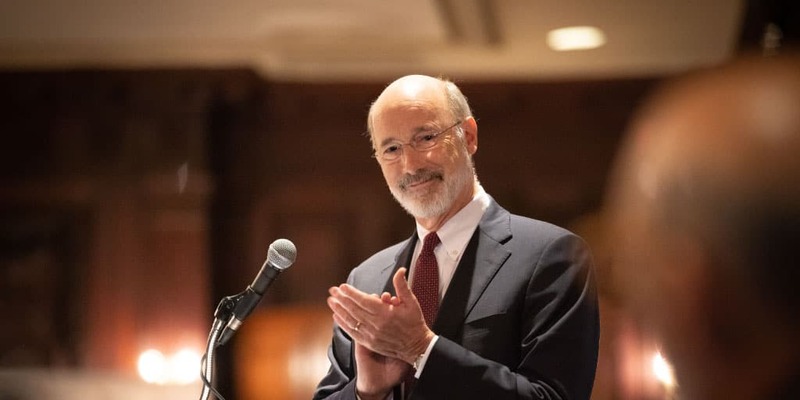 Harrisburg, Pa – Governor Tom Wolf announced the rapidly growing online retailer and home delivery provider goPuff will construct a new headquarters in Philadelphia and build ten warehouses across Pennsylvania, creating over 500 new jobs over the next three years. goPuff will invest $4 million in a multi-stage expansion plan centered on the construction of a new 30,000-square-foot headquarters in Philadelphia, located at 3rd and Spring Garden streets. Ten new warehouse operations will be launched in Allegheny, Chester, Dauphin, Lackawanna and Philadelphia counties, and six existing warehouse operations will be expanded. The new headquarters will provide over 150 new, full-time jobs, while the new and expanded warehouses will create approximately 400 jobs over the next three years. The company has about 125 employees at its headquarters now, currently located in the Callowhill neighborhood of Philadelphia. “We consider Philadelphia our first investor. We would not have been able to scale our business as quickly and deliver the moments that matter most to our customers had it not been for the support of the city and the state,” said Rafael Ilishayev, co-founder of goPuff. goPuff received a funding proposal from the Department of Community and Economic Development for a $400,000 Pennsylvania First grant with phased distribution contingent on job creation. The project was coordinated by the Governor’s Action Team, an experienced group of economic development professionals who report directly to the governor and work with businesses that are considering locating or expanding in Pennsylvania. goPuff is a digital convenience retailer operating in over 40 U.S. markets and delivering thousands of products – ranging from snacks, drinks, ice cream, alcohol, and more – directly to customers from centrally located warehouses, 24/7, for a flat delivery fee. Since founded in 2013 by two Drexel students — Ilishayev and Gola — the company has grown to operate in 48 markets across 21 states and the District of Columbia and has plans to expand to approximately 60 locations by the end of 2018.